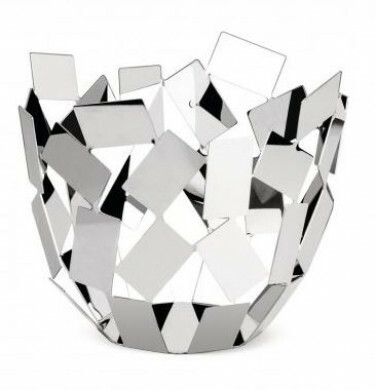 Fruit Basket made in stainless steel by Alessi. Dimensions: 22,6 x 22,6 x 19,3cm. Buy Fruit Basket SCIROCCO by Alessi for only €142 at ecocinasplus, EC Plus.